I pray you have a blessed and happy Easter! May these special days be filled with the Holy Spirit’s presence and anointing. May God give you a glimpse of our Savior and set your heart ablaze with His indescribable love. 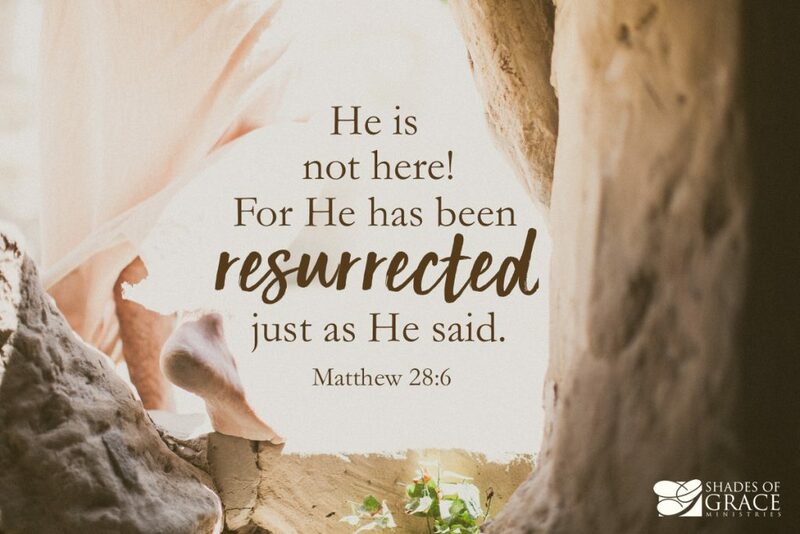 May the resurrection power of Jesus Christ descend and bring to life those things you thought were beyond reviving — your spiritual passion … your health … your finances … that broken relationship … the promised return of your prodigal child. I speak life to dead things! Life to dead dreams! Life to dead marriages! Life to dead health! Life to dead churches! Life to dead worship in the pew and dead unction in the pulpit! Life to dead relationships! Life to dead careers! Life to dead futures! Life to dead desires! Life to a dead witness for Christ! May God give you unity in your family this weekend, sweet fellowship with your friends, revival in your church, and boldness all year long in sharing the Gospel! In Jesus’ mighty, chain-breaking, miracle-working name, so be it!